How To Sell Products On Instagram - Once You're Set Up, It's Easy! Did you know you can sell products on Instagram? It’s easy to forget, that not only is Instagram a fabulous visual platform, and an amazing way to connect with friends, it’s also a great way to promote and sell your products. And it doesn’t hurt that over 1 billion users are active on Instagram monthly. In fact, it’s one of the most popular social media platforms out there, and it’s growing like wildfire. With these facts in mind, it would be a shame not to leverage Instagram to help grow your business and your brand. Do you know how to sell products on Instagram? Download the IG app and create a free account: Instagram is unique in that you can only post content on Instagram using the mobile app. You’ll need an email address to create your business account, and it’s a good idea to use an email associated with your business. Choose a username and fill out your profile. I suggest using your company’s name as your username. Remember, this is a business account, not a personal one. Keep in mind, Instagram will generate a username for you automatically, but don’t stress, you can always change it. You can now start following people within your contacts, and on Facebook. Before I do this, however, I like to first have a couple posts on my account. You can skip this step for now, and find friends later. Finish your profile by choosing a picture for your account. Upload your company logo or a professional headshot of yourself. Selfies aren’t a great choice for a business account . Click, “add a photo” to pick the photo you’ve decided upon. Remember, Instagram only allows one URL to be posted per profile so don’t try to add additional links. I do have a work around for that. Read my post “How To Add Multiple Links On Instagram” here. Now you’ll want to click the “Try Instagram for Business Tools.” You’ll see it under “Bio.” It will walk you through the steps to complete your business profile, and link your Instagram account to Facebook. If you don’t already have a Facebook account, you’ll be invited to create one. After all, FB owns Instagram, and the two work well together. It’s time to start posting and following people. Try to share content consistently, and use eye-catching and engaging captions and relevant hashtags so people can find you. Use a variety of hashtags, including both general and specific ones. Be sure and post your IG handle on your website, other social media accounts, in your email signature, and on your You Tube channel if you have one. Now that you’re set up for business on Instagram, it’s time to get serious about selling! Read my full post: “How To Create An Instagram Business Account” for a more information. Before you can begin selling on Instagram, you’ll first need to be approved by Facebook. This is a bit of a tedious process, and will take at least a few days, so be patient, and try not to get frustrated. Once you’ve been verified and approved, you can start selling. See that little icon, of a shopping bag, below? That’s what people will click to be taken to your product. From there they can decide whether or not to buy. 1. Begin by visiting your Facebook business page. Without a business page, it’s not possible to sell on Instagram. Your FB business page must also be connected to your Instagram account. You can do this by going to your Facebook business page that’s associated with your IG account. Once on your FB page, go to “Settings” and “Authorizations.” Then follow the steps to confirm your identity. You’ll be asked to upload either your passport or license to verify who you are. You’ll also have to confirm your address. I had to wait a few days to have my account reviewed by Instagram, after which I received a code in the mail to finish the authorization process, and to start selling. 2. Once you’re approved by Facebook, the next step is to set up a catalog that will be connected to your FB business page. This catalog will then be accessible directly on Instagram. It’s a requirement of IG that physical products be sold through a shop, and your catalog is your shop. 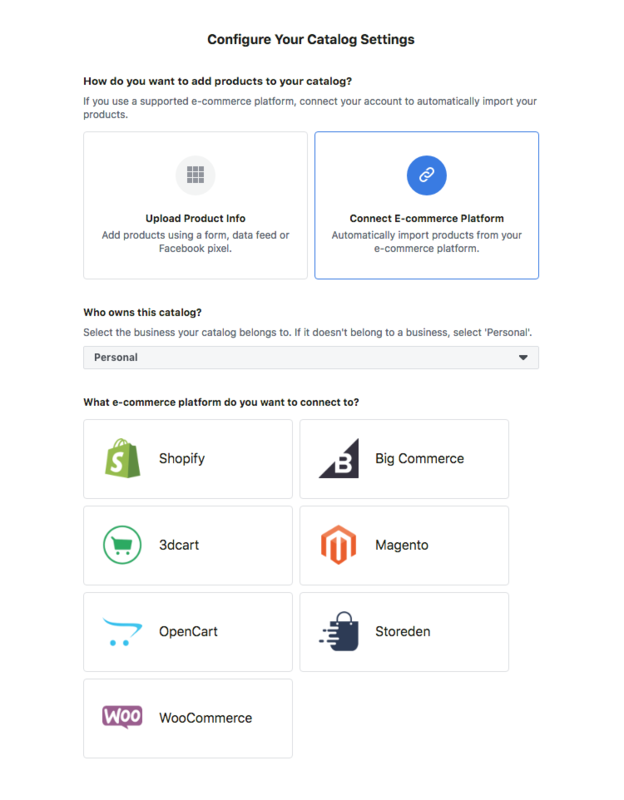 Or connect to an E-commerce platform, such as Shopify, WooCommerce, OpenCart, 3dcart, Big Commerce, Magento, or Storeden. Use this option to automatically import products from your existing E-commerce platform. It’s pretty slick how it works! 6. If you choose to upload product information, you’ll see this screen informing you that your catalog has been created. Click the blue button to view your catalog. If you’re connecting to WooCommerce, after clicking “Finish Set-Up,” you’ll see the screen below. Download the Facebook Pixel Extension, to your desktop, by clicking the green “Download” button. You will then upload the .zip file to your WooCommerce account or whichever platform you’re using. Hurray, the setup is complete, and your catalog has been created. Click “Go to Catalog” to see how it looks. This is what the Catalog Manager looks like, and is where you can edit and add products to your catalog. Fuss around with your catalog until you love the way it looks. Choose a photo that has a product in it you want to sell. Click on the product in the photo, and you’ll be able to add a tag. Be sure and include the name for each product. The price will automatically be shown because your catalog is connected to your IG page. Now when people click on the photo, all your tags will pop up. When a viewer clicks on one of the tags, they’ll be shown a description of the item, along with additional products that you’re selling. They can then click the link that will take them to your website or store, where they can purchase the item that was tagged. Instagram only allows you to tag products OR people, not both, so when you’re tagging products, the “Tag People” icon will be grayed out. Not only will the shopping cart icon show up on your posts, but you’ll also see a”shop” button underneath “Highlights” beneath your bio. When people click on that, they’ll be taken to all your shoppable posts where they can view your all of your products. Instagram is the perfect platform for selling. Take advantage of the billion users that visit it every day. Those numbers are staggering, and just imagine what that would mean to the growth of your business. 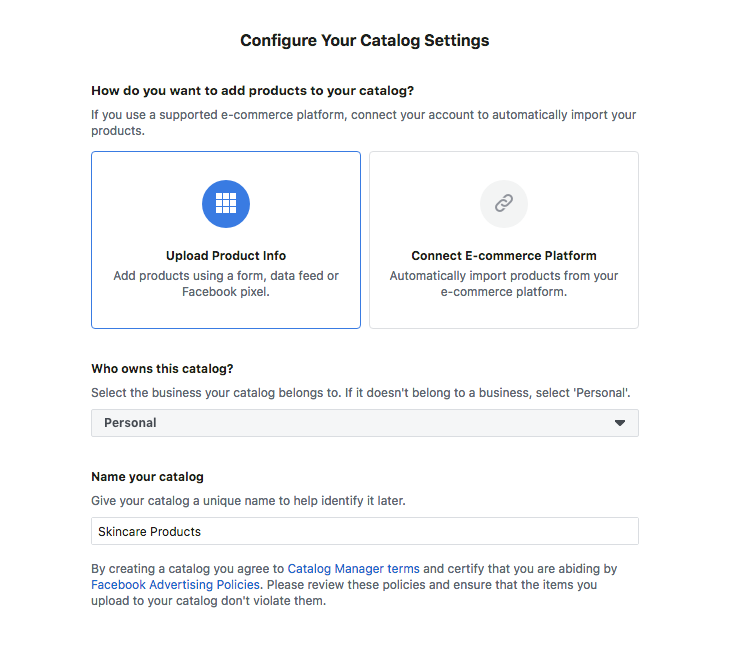 Begin by creating both Facebook and Instagram business accounts, and then follow the instructions to create your catalog. What better way to get your product in front of a gigantic crowd. It takes a little bit of work, but in no time you’ll be showcasing your amazing products for the whole world to enjoy! I use Facebook and Instagram to promote my affiliate marketing business. 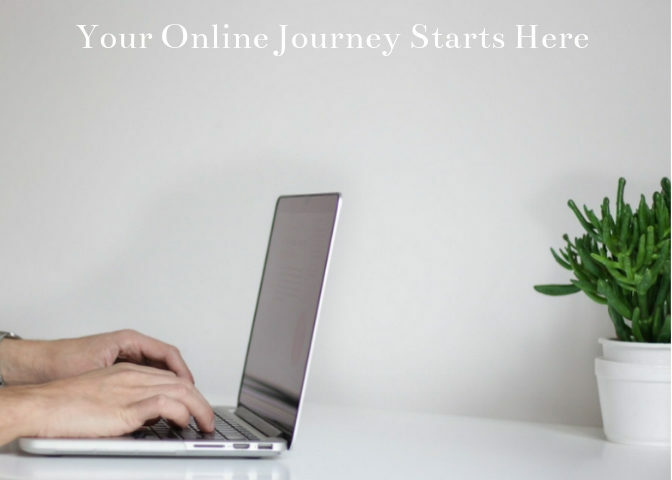 Read my post “Is Wealthy Affiliate Legit or a Scam” to learn how I got started selling online. It’s the best platform out there! Check it out here. Are you selling on Instagram? I would love it if you’d take a minute to leave your insights and experiences below! Social media is confusing to me and I am so glad I found this post! I started to learn facebook and twitter but instagram is still a mystery or it was until I started reading this. I had no clue you could create a business page. The steps you lay out are very simple. Barry, I know social media can be confusing when you’re first getting familiar with a platform. Instagram is a lot of fun. If you can learn Facebook and Twitter, you can learn Instagram. This is a great article! I’ve connected a Shopify store to Instagram, but didn’t realise that you could connect your Facebook account, and just use a catalogue from there. It would certainly save on website fees from an e-commerce site! If I were to just use a Facebook catalogue, do you need to set up some sort of payment method or can you use your Paypal account? Good job on connecting your Facebook account to Shopify. It’s free to connect your Facebook business page to your Instagram business page so it would certainly save on cost. You can use PayPal. Just take a minute and set it up on Facebook. Being a new entrepreneur, I am always looking for ways to promote my business. I have been working really hard to get my business seen on social media but I have not yet tried Instagram. Thank you for sharing this step by step process on how to get started with a business account on Instagram. I am sure that once I get the hang of it, it will benefit the growth of my business. Love your website. Thank you Jamiro. Instagram is a great way to connect with those in your niche, and also an amazing way to sell products. It’s another avenue for your business. Jump on over to IG, and create your business account today! I am not on Instagram yet and it seems I am apparently missing a lot when it comes to presenting my business ideas. It looks like I will be doing this today, setting up my Instagram business page and seeing how it will work out for me. Thank you. I will give it a try. It’s easy to create an account on Instagram. I know it can be overwhelming at first, but it’s fun once you get the hang of it. Give it a try. Thanks for reading my post! I love this article especially the way Instagram marketing was simplified. Thanks for making it easy for me to understand. All I’ve got to do is create Facebook and Instagram Business Pages, get approved by Instagram, and link my Facebook catalog to my Instagram business page. Sounds quite easy, this article has been very helpful.